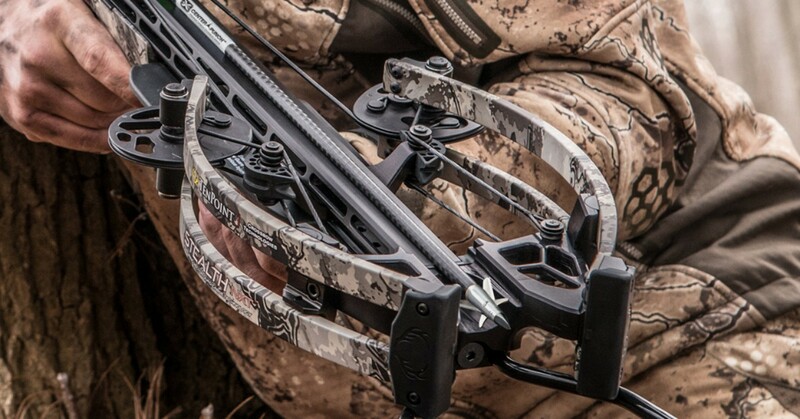 BowhuntingWant a Chance to Win a TenPoint Stealth NXT Crossbow? Called the TrueTimber & TenPoint Sweepstakes, one lucky winner will receive a brand-new Stealth NXT crossbow in TrueTimber’s popular Viper Western pattern. MSRP on this crossbow is $1,499.99. The grand prize winner will also take home a $250 TrueTimber gift card. To enter, simply complete the simple entry form online from now until Nov. 19, 2018 (11:59 pm ET). Click here for full prize details, rules, terms and conditions. Measuring only 6 inches wide and shooting up to 410 fps, the Stealth NXT is compact, fast and accurate. The standard package includes the following: TenPoint RangeMaster Pro Scope mounted on a machined aluminum 7/8-inch fixed dovetail mount, ACUdraw PRO cocking device, three-arrow instant-detach quiver, ambidextrous side-mount quiver bracket, three Evo-X CenterPunch premium carbon arrows and integrated sound-dampening system.